This program developed out of a personal need for both of its creators. 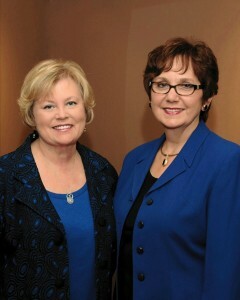 The founders of A Time to Heal Cancer Foundation are Dr. Stephanie Koraleski and Dr. Kay Ryan. Stephanie is a cancer center psychologist and the daughter of a breast cancer survivor. Kay is a nurse, breast cancer survivor, health care consultant, speaker and trainer. Following Kay’s diagnosis and treatment, she was disappointed to learn there was no rehabilitation program to help her. Her disappointment led to her and Stephanie creating the idea that would become A Time To Heal Cancer Foundation. Dr. Koraleski and Dr. Ryan developed our flagship program, Survivorship 101, that gives survivors access to the tools they need to help them to be well after cancer. This whole- person rehabilitation program is designed to help people regain their physical, emotional, and spiritual health after cancer treatment. Since it began in 2005, research and experience have shown that individual components of our classes and support groups make a positive difference in the well being of cancer survivors. Studying the research on cancer survivors has shown that people who have information, who make healthy choices, and who feel able to make a difference in their own lives can do very well after treatment. Starting in 2006, Survivorship 101 expanded across the state of Nebraska and into several other states. 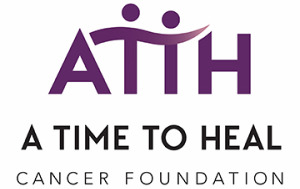 In 2009, A Time To Heal Cancer Foundation received its independent 501(c)(3) status from the Internal Revenue Service. In 2010, programming for survivors of ALL Cancers as well as their caregivers was offered. And, in 2014, our Cancer-Related Brain Fog class was launched in several of our locations across Nebraska, including Omaha, Grand Island, Norfolk, Kearney, Lincoln and Scottsbluff. Our goal is to continue to expand all of our classes to new sites across the country. We have also added support groups in Omaha for survivors and caregivers who are living with Metastatic or Recurrent Cancer.